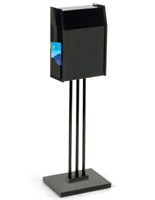 This black charity collection box is an essential display item for any fundraising effort. 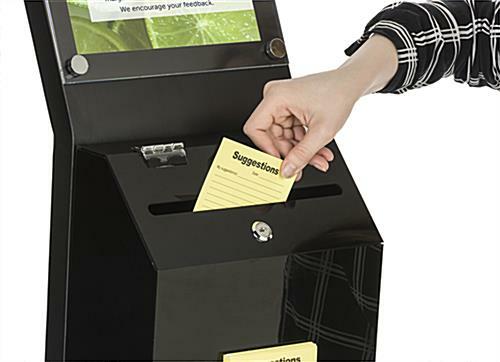 Distinguishing it from other ballot cases, this acrylic donation stand is mounted on a sturdy sign holder, making it a great option for high traffic areas. 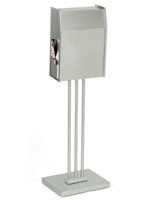 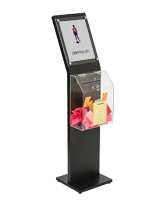 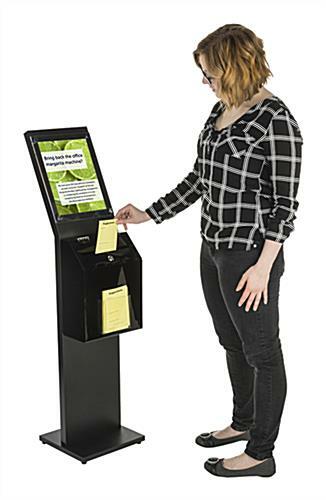 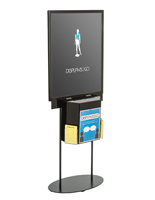 At four feet tall, this floor standing collection box is tall enough to get noticed in a busy lobby or a well-attended fundraising event, but small enough to still be manageable to move around. 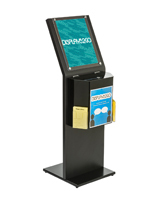 Swap out your graphics quickly with this sign holder’s easy-grip screw caps, keeping your display looking updated and fresh. 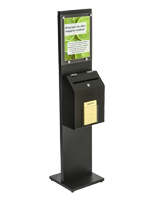 Featuring a lockable lid, the contents of your acrylic donation collection box will remain secured and concealed. 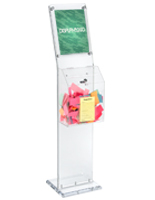 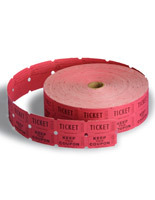 Each ballot container comes with a front pocket, perfect for displaying suggestion, raffle or contribution forms. 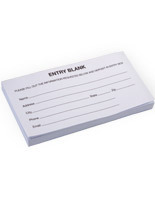 Please Note: Suggestion forms sold separately. 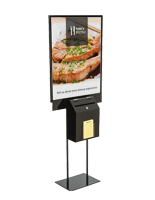 11.3" x 47.5" x 11.5"
4.9" x 4.8" x 0.5"